Now that Brian McDermott has nailed his colours to the mast in acting swiftly to quash mounting speculation that his immediate future might lie in the Republic of Ireland hot-seat – it’s time to reappraise our manager once again. Rumours were running hot earlier today, with petrol being poured on the fire by the unscrupulous likes of the Mirror, who took a few random quotes from over the years to the effect that McDermott was keen on the Ireland job, and added two and two to make unlucky 13 – but that’s the Mirror for you. If Brian McDermott had been in any sort of a quandary over this situation, it could well have run and run, destabilising not only the preparation for this weekend’s game at Bolton, but also the whole platform being built for the season ahead. That would have been highly unfortunate to say the least, in a massively competitive league where the finest of margins will separate success from failure. That McDermott has come out at the earliest feasible opportunity and – whilst acknowledging that he does have international ambitions with Ireland – scotched the immediate prospect of this happening by declaring his 100% commitment to Leeds United, reflects massive credit upon him. The terms in which he has outlined his determination to achieve success with Leeds, speaking of the warmth of his relationship with the fans as well as of the club in general and how it deserves success, will endear him even to any remaining doubters. If commitment and passion for the job in hand count for anything, then Brian McDermott is surely destined to be a brilliant success at Elland Road. But the harsh realities of the club’s current, less-than-certain financial situation will dictate the practical extent of his ability to influence matters on and off the field. For the best coach in the world, results will be a function of resources – you cannot, as they say, polish a turd. The holes in United’s first team squad, apparent to anyone with any awareness of the demands of league football over 46 gruelling games, threaten to hemorrhage a lot of the possibilities from Leeds’ nascent campaign. However steady and solid the start has been, there is clearly the potential for a bad run which would leave the club playing catch-up on a steamroller as the sleek speedsters of the Championship elite pull away into the distance. Should this arise – according to normal form at Leeds United – Brian McDermott might well find himself trying to do a difficult job with a tin hat on, dodging brick-bats from know-alls in the stands and on social media too. That we as a body of support are capable of this type of behaviour is simply a matter of fact; you just have to look at the twitterati campaign of scorn and abuse against Noel Hunt to realise that. McDermott is evidently aware of it too, and he has made a point of defending Hunt, which again is to his credit. This is a manager who has made all the right noises ever since he’s been at Leeds, and now he’s deferred what is evidently his ultimate professional ambition: to manage the country he feels most closely attached to. To say that he deserves our unstinting support is a masterpiece of understatement. So, it may well be that this season might get tougher as it unfolds. There may well be trouble ahead. If that happens, then it is devoutly to be hoped that those of the tendency to dive on a keyboard, or chelp from the stands before their grey matter has been warmed up will pause, and reflect a while. 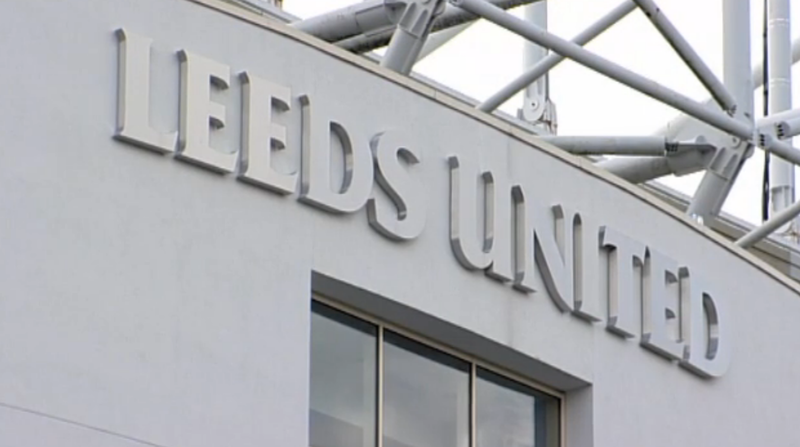 Maybe they will cast their minds back to this week before venting their frustrations on a man who is trying to do what is right for our club, maybe they will have second and better thoughts and actually give loud expression to their support and backing for this man who has so completely devoted himself and his talents to taking Leeds United back where they belong. This entry was posted in Football, Leeds United, Sport and tagged Bolton Wanderers, Brian McDermott, FAI, fans, Football, Ireland, Leeds United, manager, promotion, soccer, support, The Championship. Bookmark the permalink. I have been disgusted by the abuse Noel Hunt has had on twitter. He may not have been shining recently. I did think you could see his quality in the first home game of the season but doesn’t seemed to have consistently produced that since. He is a striker that thrives in lots of balls into the box and we just have not been doing that. As a club and fans I really do think we have had a big part to play in recent years to finally see the back of Bates, we were ready to shout our feelings from the rooftops! But now we have to be patient. We have owners who are doing all the right things and saying all the right things. We have a manager who must be one of the top coaches in the championship and i firmly believe he will be seen as one of the best in England in 10 years time.He knows his stuff and he needs time and support from us, the fans. He is very early on in his project with Leeds United. There will be ups and downs, but the very important thing is we as fans keep resolutely behind him and the team. Success does not happen over night, Nearly 8 years of Bates and his policies of selling off the gems will take longer than we would all like to put right. Personally I would like to see BM in the job for the long haul, not just the three years he has signed on for and that can on ly happen if we are all pulling in the same direction…….only if we are all marching on together! What a well written snd thoughtful article. 100% right re BMC we need to give him and the team time to gel and get to work on the system of play that suits thos group of players. We must also understand the harsh realities of FFP which places clubs in difficult position. We have players that he wants to shift on but cant. It is clear that GFH are supporting him but cant overload the squad with more players at the mo. Hopefully the loan window will help shift some if the unwanted dross out and get in one or two good players that will kick us on. MOT. First class post Rob … everything you say is spot on. Brian McDermott is the best signing LUFC have made for many, many years and every single fan should be aware of that … given the time, and support from the owners, and all of the fans, he will bring a stability back to ER that has not been witnessed, probably since Sir Don. The longer he stays the more good qualities he shows … common sense, honesty, openness, commitment and loyalty … GFH need to ensure that he is treated correctly and they too will get their rewards. However for the remainder of this year, and until some of the NW imports contracts elapse and he is provided with the funds, and space on the wage bill, we all need to have patience.